Over the past two decades, Rockstar Games has emerged as a force to be reckoned with in the games industry. Rising up from quirky Scotland-based developers with a taste for pulp and crime fiction, Rockstar evolved radically, shifting into innovators and provocateurs, creating some of the industry's most influential and blockbuster titles. In the lead up to the eagerly anticipated Red Dead Redemption 2, we came together as a staff to rank every single game that Rockstar developed (this means we excluded published titles like L.A. Noire and Smuggler's Run). From the humble top-down beginnings of Grand Theft Auto to the blood-soaked streets of Manhunt and the beautiful jaw-dropping vistas of Red Dead Redemption, you’ll find every single title put in its proper place in terms of influence, importance of innovation, and just plain fun. Update (02/4/19): Now that Red Dead Redemption II has been out for a few months and we've had time to analyze and discuss its achievements, we've added it to the rankings below. Wild Metal is technically Rockstar’s first game, but the company wasn’t Rockstar yet. Released under the label DMA Design back in 1999, Wild Metal has aged terribly. 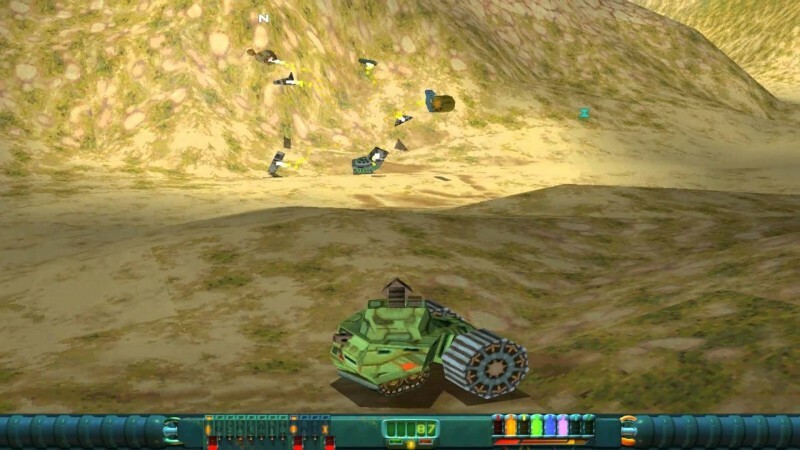 The game pits tanks against one another on various planets, which just isn’t much fun to play. However, you can see the developer’s interest in vehicular carnage budding here, something that would come to define much of its catalog. Midnight Club is probably best known as the Other Rockstar Series With Cars, which is a shame since these racing games are so well done and enjoyable. The original Midnight Club is the weakest in the series, as future implementations and visual upgrades would make the series a critical darling. Manhunt is one of the best and morally interesting stealth games ever made, with a gripping taut story starring a disgusting yet somehow sympathetic murderer. 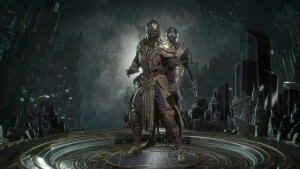 Its sequel threw out everything that made the first game special and focused instead on the gory kill cams the original game caught so much controversy for, with decapitation, castration, and skull-popping all being things you could do on the regular thanks to stealthy executions. Couple that gleefully shock jock approach to violence with a terrible story about multiple personality disorder, and you have a sequel that falls well short of the original but is still a fun time (if you’ve got a strong stomach). 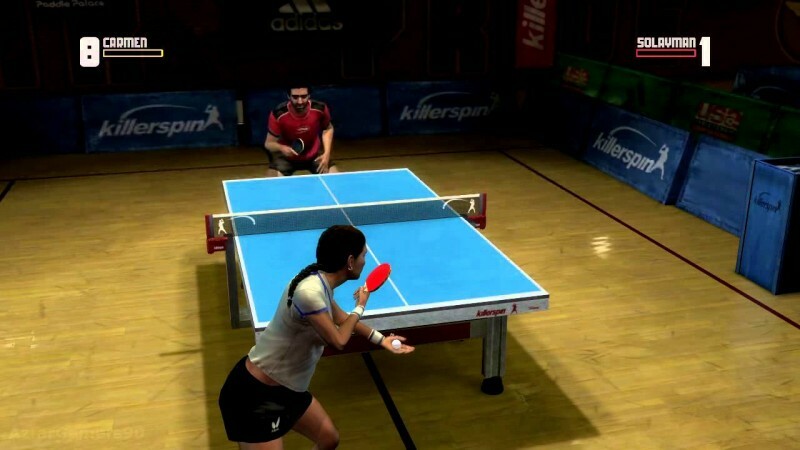 Considered a bit of a joke on its announcement (“Why the hell are the Grand Theft Auto people make a table tennis game?”), Table Tennis nevertheless emerged as an enjoyable sports title respected for its smart A.I. and simplistic but addicting gameplay. It’s also the first Rockstar game to be developed on the Rockstar Advanced Game Engine (RAGE), which would go on to be used in Grand Theft Auto IV and subsequent titles. 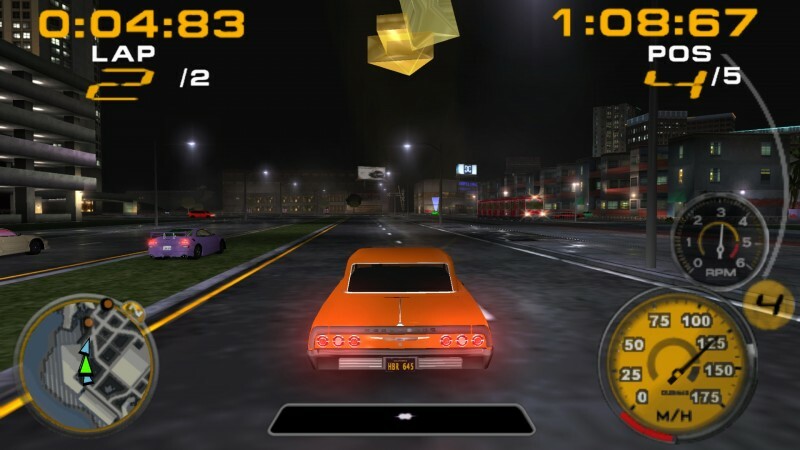 Midnight Club Racing II represented a substantial improvement over the first game thanks to a visual boost and the addition of solid online play. Midnight Club's biggest and best games were still years out, however. 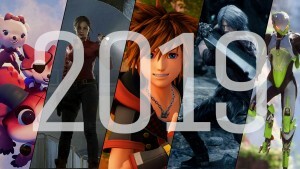 As Michael Fassbender once said in that movie that we all pretend never happened, “Big things have small beginnings.” Grand Theft Auto would eventually go on to be the biggest selling games franchise in the world, with GTA V still showing up in the NPD Top 10 list consistently more than five years after its original release. 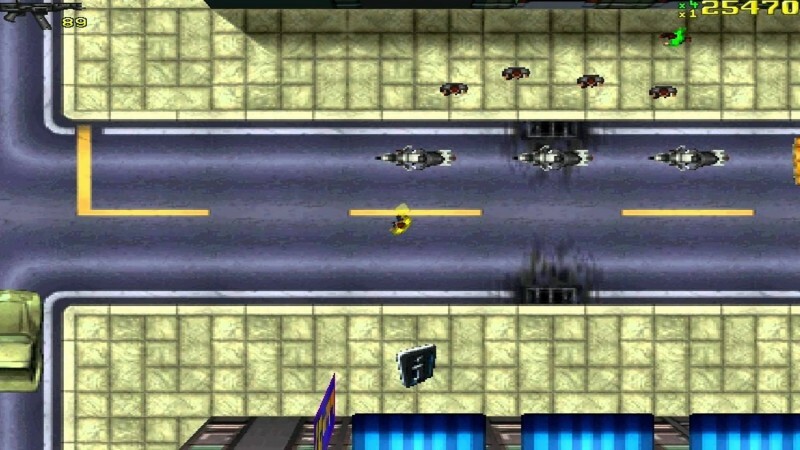 However, the original GTA didn’t make much of a splash. It sold well but both critics and players weren’t endeared to the 2D graphics and the game doesn’t play particularly well today. Still, Grand Theft Auto is a fascinating prototype, packing in staples that we’d still see in entries to come, including radio stations and a small version of the open-world freedom that has come to define the series. 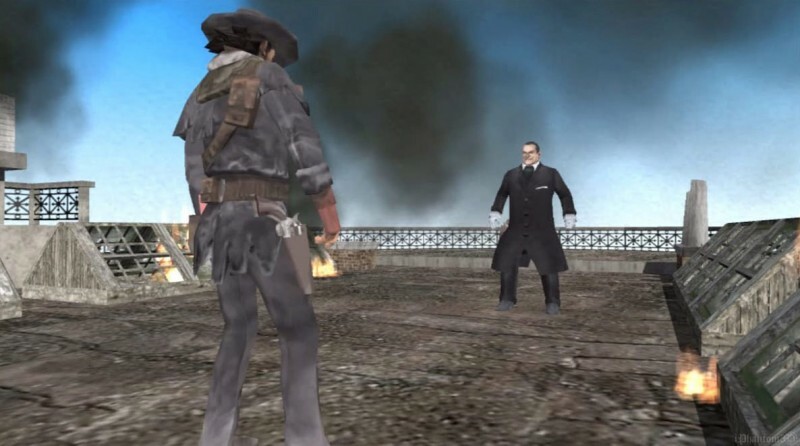 Oh yeah, there was a Red Dead game before Redemption! 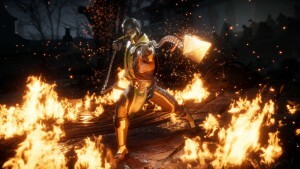 Initially a Capcom-funded title, the publisher abandoned the game after it showed poorly at several shows. Rockstar had acquired Revolver's developer Angel Studios in 2002 and eventually purchased the rights to Revolver so that Angel, now Rockstar San Diego, could finish and release the game. 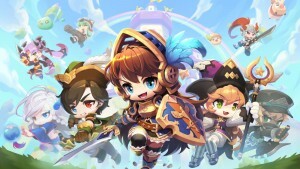 The final release was interesting thanks to many quirks that piqued the interest of players, including well-done animations (like holstering your pistol instead of it just magically disappearing), leaning in and out of cover, and a dead-eye system that slowed down time and let you target specific points of a foe’s body. 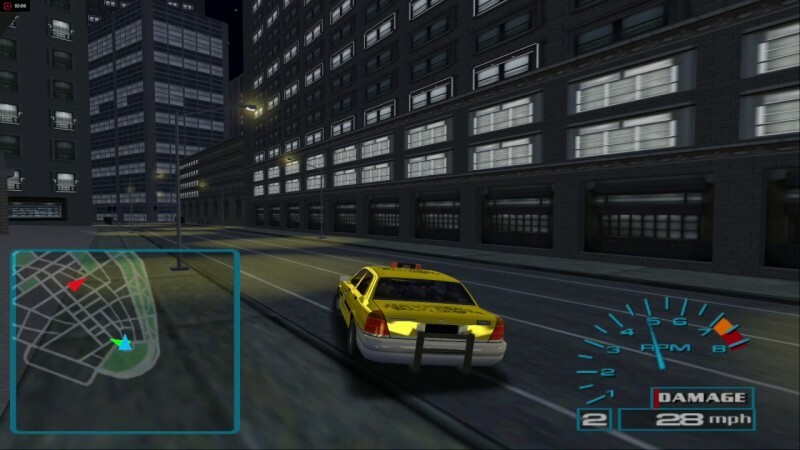 Liberty City Stories was a technical revelation when it came out, proving that you could take something as huge as Grand Theft Auto III’s open-world experience and pack it down so it could still work on a portable device. Yeah, the story’s weak compared to later games in the series, but it’s still a fun little romp in the GTA verse. Grand Theft Auto 2 wisely built on the elements that made the original game enjoyable while trimming down its flaws. True 3D graphics wouldn’t arrive until GTA III, but this game is much easier on the eyes. 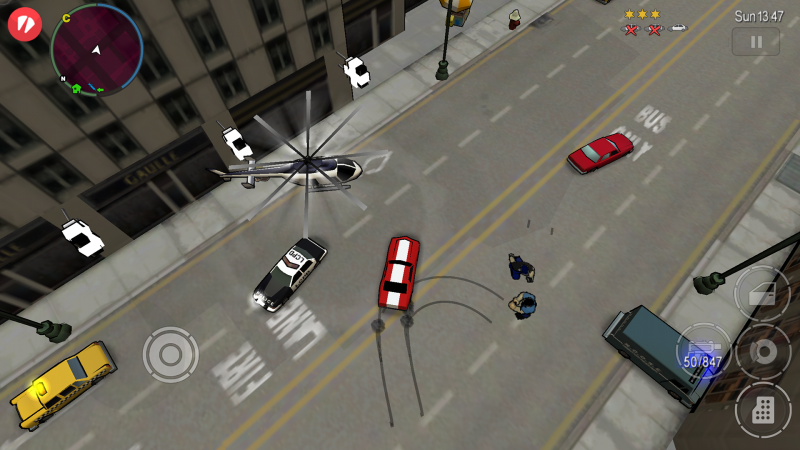 Bigger improvements included the player working for multiple factions instead of one, a stronger police response to crime (including SWAT), and the most important one: NPCs weren’t just mindless drones, but actual characters that would interact with the world, using cars and getting into fights with gang members. This helped create the illusion of a living world in a way that few games, if any, were doing at the time. Grand Theft Auto’s big moment was still four years away, but GTA 2 showed that the series was capable of becoming something truly special. 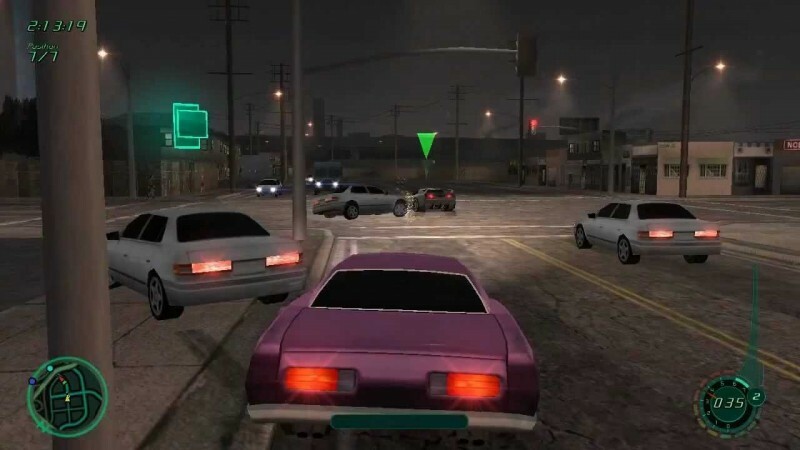 Los Angeles marks one of the best moments of the Midnight Club series thanks to a bevy improvements and additions, including a day/night cycle, realism tweaks, gorgeous visuals, and a police force that will hunt you down in this open-world version of Los Angeles if you so much as speed or run a red light. Los Angeles may have shrunk down the multi-city focus of III, but that doesn’t mean its setting is any less compelling or impressive. Unlike Liberty City Stories, its Vice City counterpart had more than impressive tech on its side. Focusing on Vic Vance, the brother of Lance Vance, and a character unceremoniously killed in the opening of Vice City, Vice City Stories not only let us roam around what is arguably Grand Theft Auto’s best setting on the go, but also gave us new stories featuring fan-favorite characters from the origins game and helping set the stage for the eventual rise of Tommy Vercetti. The open-world street racing genre may have been a small one in the early 2000s, but let there be no doubt: Midnight Club was the king of it. Before Midnight Club III, the series was regarded as one of Rockstar’s lesser passion projects. The third game mixed a bit of Grand Theft Auto’s ambitions and polish into its street racing focus and the series is that much better for it. With three big cities (Atlanta, Detroit, and San Diego) to roam, a huge collection of great music to listen to, and enhanced vehicle customization, Midnight Club III is easily the apex of the series. The best of the portable Grand Theft Autos. Sure, it lacks the 3D visuals of the City Story counterparts and the writing is iffy at best, but the minigames for stealing cars and a surprisingly detailed drug-dealing system focused on systems that GTA hadn’t really bothered with before make it a standout entry. 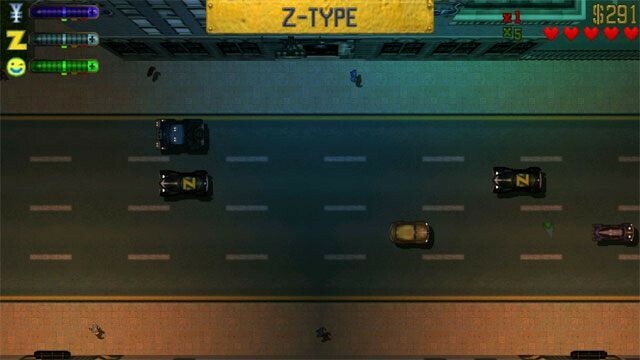 Chinatown Wars’ approach to the series staple Wanted level, requiring the player to destroy a certain number of police vehicles to lower the level, was also novel and is frankly a little missed. Chinatown Wars still doesn’t hold a candle to the main entries of the game, but we wish future GTAs would take a little more inspiration from the best portable spin-off when it comes to making interesting systems that help you immerse yourself in the world. Warriorsssss come out to play-ay. 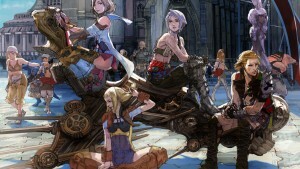 At first glance, The Warriors seems like an odd title for a major game studio to adapt. But then again, Rockstar has always played by its own rules. In the case of The Warriors game, that’s a great thing. Before Rocksteady came along with Arkham Asylum to shake up our idea of what a good video game adaptation could be, The Warriors was one of the best adaptations of a movie thanks to its engrossing, sometimes hysterical combat, bleak but well-done environments, and faithfulness to the source material. Rockstar took over the reins to everyone’s favorite series starring a widowed, drunk cop after Remedy bowed out, and the third entry is a hell of a sequel. Max Payne 3 is a bold game, essentially throwing the closure of the second game’s ending out the window to focus on Max’s time in Brazil working private security for a wealthy family. Our tragic protagonist’s past trails him, causing misery and death to everyone around him, not to mention glorious shootouts. Even if Max Payne 3 didn’t have the series’ renowned bullet-time sequences (it does, thank goodness), which allows you to slow down the world Matrix style, the gunplay would still be fantastic. In 2011, the game’s approach to mixing realism with Michael Mann-like violence was unparalleled. Max always carries his weapons in a believable way, a pistol in one hand, a shotgun gripped by the barrel in the other. Max’s body feels like it has weight as he leaps around, often taking a full second or two to get up once he’s landed, leaving you open to enemy fire. The environment is often shredded to bits, destroying you and your enemy’s cover during the course of a firefight. In the moment-by-moment action (as well as the beautiful setting that balances exotic with despair) Max Payne 3 does so much right it’s easy to overlook the story’s habit of aping Man on Fire's plot or the fact that the game might just be a little too long for its own good. Max Payne 3 is easily one of the best third-person shooters ever made, and we’re still waiting on that sequel, Rockstar. 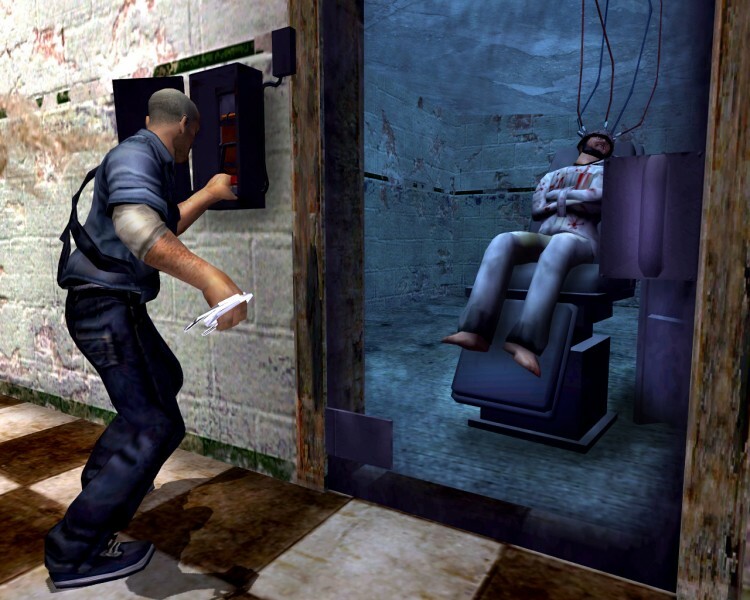 With the likes of Metal Gear Solid, Thief, Tenchu, and Splinter Cell often thought of as the monumental stealth-action titles, it’s a shame that Manhunt has never been regarded in the same way. Rockstar’s first stab at stealth drew attention from major outlets for its gory action, letting you strangle unsuspecting victims with barbed wire and suffocate them with plastic bags. To a degree, that’s fair. Manhunt is grotesque and uncomfortable with its violence even now, with basic household items being used to murder people while the camera lingers on every moment and detail. Every spurt, every convulsion plays to disgusting effect. However, unlike the sequel, Manhunt’s violence feels thematically apt and like it has a point. You’re a rat in a huge maze, scurrying around to survive, as predators much stronger than you lurk around every corner. The streets and world, presented as a modern take on The Running Man where snuff films are all the rage, are disturbing on a thematic level as much as they are on a visceral one. The tension as you sneak slowly behind a man armed with a shotgun, your only weapon a shard of glass in your hand, has rarely been matched in the genre. At the end of the day, Manhunt feels like a world-class game that’s never gotten its proper due thanks to the controversy surrounding its violence. However, as both a thematically unified interactive story and as a stealth-action game, Manhunt is a gripping thriller and one of Rockstar’s best. For more on Manhunt, check out this opinion piece we wrote on the game’s timelessness. The black sheep of the 3D Grand Theft Auto main entries. The fourth entry was universally beloved on release, but when presented against the other entries in the series, most people seem to think it never matches up to the lively settings of San Andreas, Vice City, or Los Santos or the importance of III. However, Grand Theft Auto IV remains a frankly amazing title that marries a bleak, beautiful story about losing yourself in The American Dream to a combat system that made fantastic use of effects and a cover system. You’d frequently end up in intense gunfight moments where glass would shatter above you or you’d nail an enemy from around a corner in a slum with a lucky blind fire shot from your pistol. On the design front, this was also the first time Rockstar played with offering players choices that affected the narrative. Three Leaf Clover, one of the best missions in the whole series, also planted the seeds for the complex heists that we'd see in Grand Theft Auto V.
A strong supporting cast introduces plenty of laughs and groans, with a great showing from the likes of bumbling but good-hearted Roman Bellic and vicious, loyal Irish gangster Packie McCready. However, it’s the tragedy of Niko Bellic that steals the show, with our protagonist caught between the future that he wants and the past he’s trying to escape, with no way out. Sure, Vice City and Grand Theft Auto V might be prettier than IV’s dreary, perpetually overcast setting, while San Andreas is much bigger, but the series has never surpassed the superb, epic storytelling in this entry. GTA IV's standalone expansions, The Lost And The Damned and The Ballad Of Gay Tony, also added more compelling stories into the mix as well as fun things to do, resulting in a game that you could easily lose a 100 hours in just doing the critical path stuff as well as a few side activities. For more on Grand Theft Auto IV, check out our piece on how it tackles The American Dream. One of Rockstar’s strangest, most delightful works, Bully proved that the developer could branch out beyond the gritty pulp of its other franchises. Even years later, Bully is a treasure trove when it comes to creativity, letting players use items like marbles and stink bombs as weapons and featuring an amusing storyline about adolescence, social groups, and rebelling against authority. The level of attention to detail is also still impressive, with every student at Bullsworth having their own model and personality. Protagonist Jimmy Hopkins/the player being expected to attend classes, presented as minigames, is also a surprisingly fun activity, and the small open-world of Bullsworth is still a fun place to explore years later. For all of Rockstar’s image and marketing being tied to games with adult themes, there is perhaps no stronger showcase of the developer’s talents for building systems and games that are just fun to play regardless of tone than Bully. Years before Oblivion and Skyrim set general audience expectations of getting lost in a massive world for hundreds of hours, San Andreas took GTA’s immensely popular sandbox design, blew it up to frankly ridiculous proportions, and even mixed in some RPG-lite mechanics for good measure. 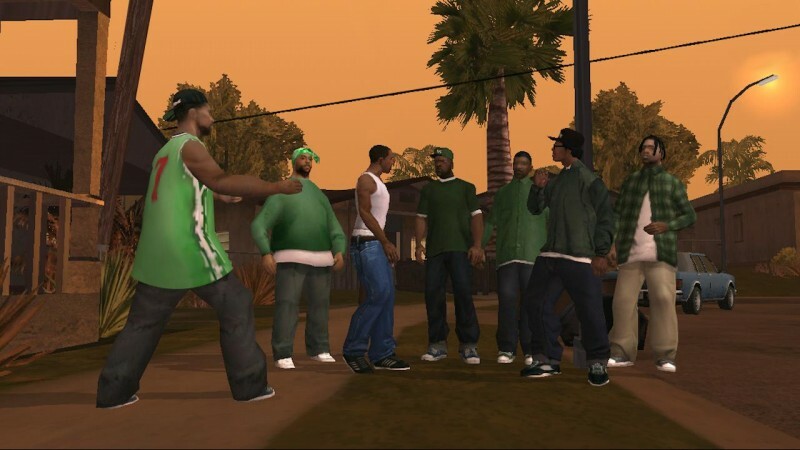 Following in the wake of Vice City’s embrace of the '80s, San Andreas did the most natural thing in the world, paying homage to '90s gang films like Boyz In The Hood as it followed protagonist CJ’s return to his old neighborhood after the death of his mother and subsequent reconnection with his old gang, The Grove Street Families. Even now, San Andreas’ ambitions are impressive, with GTA’s standard city setting expanded into a full state, featuring mini versions of Los Angeles, Los Vegas, San Francisco, and entire wilderness of desert, canyons, forests, and small towns between them. 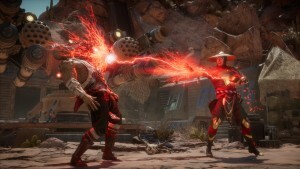 The story mode is equally massive, taking around 30 hours to complete and walking a balancing act between ridiculous laughs and effective tragedy. On how it uses its real estate alone, San Andreas is one of the greatest games of all time. The last Grand Theft Auto game of the PS2 era is also special for letting us mold its protagonist. Literally. CJ has a set personality and story, but you can also define him in a way that you couldn’t with Tommy or Claude (GTA III’s protagonist). You could give him a haircut, buy him a wardrobe, and even define his physicality by having him visit the gym to become leaner or fattening him up with too many burgers. 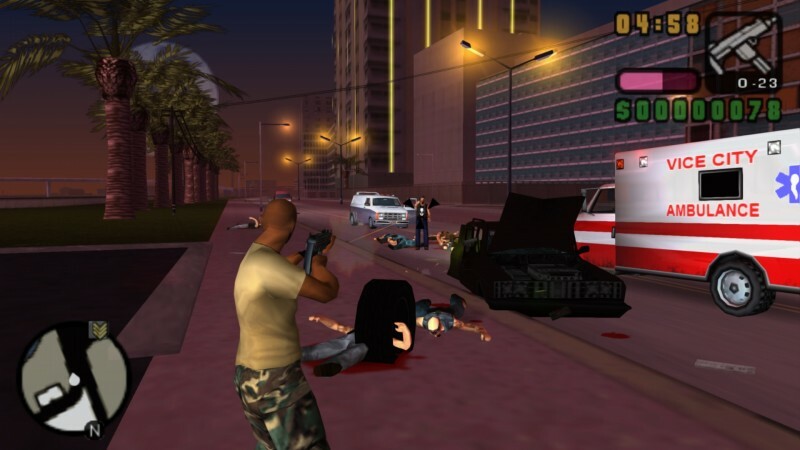 Often considered one of the swan songs of the PS2, San Andreas set a new level of expectation for open-world games on release and still shines brightly today. 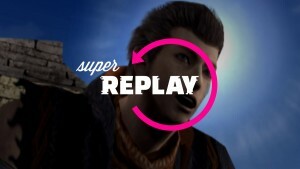 There are a handful of titles you can say, without hyperbole, changed video games forever. Grand Theft Auto III is one of them. Taking the open-world design principles of the previous two games, Rockstar created an interactive 3D sandbox that cast players as a criminal out for revenge. After escaping from the back of a prison truck, you worked your way up through the crime world, assassinating, transporting illegal materials, and getting up to all sorts of mayhem in your own time. You could taxi NPCs around, play an ambulance worker, or even wage a one-man war against the police by setting the local car dealership on fire with a flamethrower. Games centered on player freedom had been done before mostly on PC (see Ultima and Fallout), but it was a novel concept for the general console audience. It also helped that Grand Theft Auto III married its open-ended design to topics that were scandalous at the time for video games, including prostitution, dealing drugs, and the specifics of organized crime. GTA III sent shockwaves throughout the industry, attracting international attention and creating yet another conversation about violence in video games and the effect on people who play them. More than that though, the game resulted in a huge amount of similar crime-driven sandboxes coming out of the woodwork (True Crime, Saints Row) and a emerging focus in the industry on giving players more control in games. 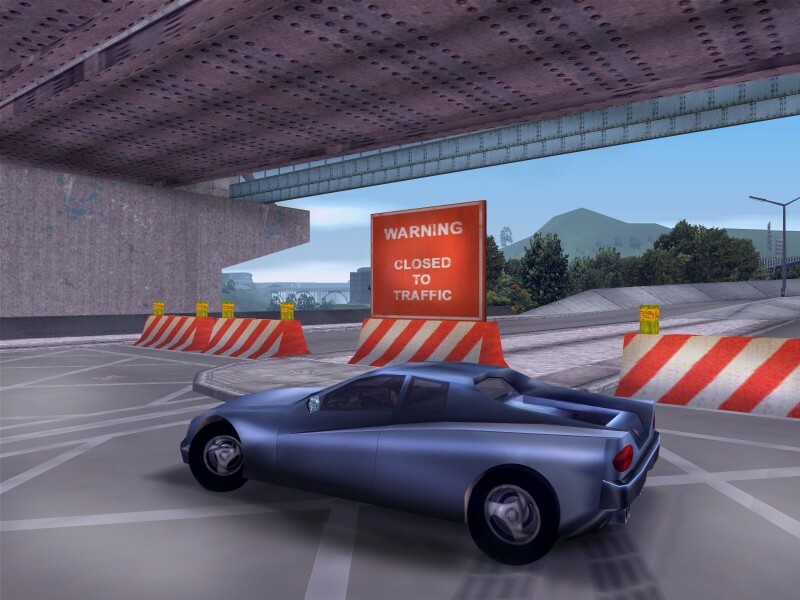 Grand Theft Auto III might be rough to go back to, especially when you look at all the implementations that future entries built on top of the foundation it laid, but the importance of its release and its effect on the industry – and culture at large – cannot be overstated. For all its importance, Grand Theft Auto III is more of a brilliant proof of concept than anything else. Its story was ho-hum, the silent protagonist forgettable, and it didn’t really have any personality outside of its middle-finger-to-taboos tone. 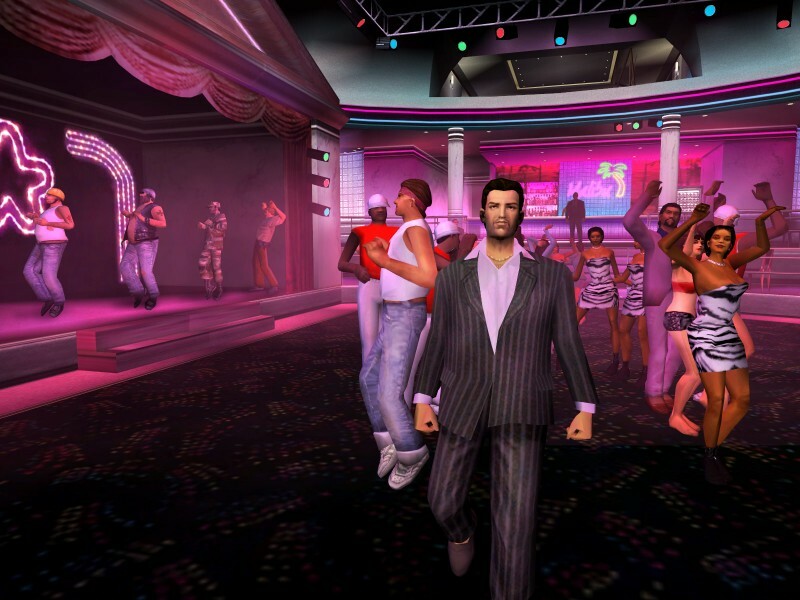 Vice City is perhaps the most important game for Rockstar in terms of establishing its reputation because it proved that the studio was more than a fluke, that it could create an interesting story and a world worth inhabiting. Rarely do games ever eclipse Vice City as a setting. Engulfed in a storm of neon lights and brown packages of cocaine, Vice City exudes personality and storytelling ambitions out of the gate with Tommy Vercetti slowly getting reacquainted to the world of drugs and crime after a stint in prison. Where Claude is silent, Ray Liotta’s Vercetti is constantly angry or amused. Moreover, Vice City is an improvement upon the original when it comes to slowly making you feel powerful, as you take over real estate littered throughout the city to become a business man by day and drug lord by night. Vice City’s grand cast of supporting characters — from cowardly lawyer Ken Rosenberg to wingman Lance Vance and pornographer Steve Scott — is the apex of the series when it comes to characters that are delightfully oddball and a pleasure to interact with. Do we even need to waste your time talking about how good the soundtrack and radio stations are? Mister, Mister, Michael Jackson, Laura Brannigan, Flock Of Seagulls. There is perhaps no licensed soundtrack in games more iconic than Vice City’s. As a put-up-or-shut-up feat, Vice City is infallible, demonstrating Rockstar’s ability to innovate and build upon previous established systems in interesting ways and draw players into a memorable setting. It’s perhaps the greatest bit of irony that for all its nostalgia waxing, people now look to the game with a passionate nostalgia of their own, eager to revisit the PlayStation 2’s flashiest classic. Let’s be real here. Rockstar wouldn’t have had to go too far outside of its wheelhouse to make the best Western game. Beyond a couple decent titles (looking at you, Gun and Call Of Juárez), the genre was mostly abandoned. However, Red Dead Redemption is far better than any of the mocking Grand Theft Horse criticisms that were thrown at the game when it was announced. An adventure epic in scope and ultimately tragic in tone, Red Dead Redemption’s shining achievement is its humanistic angle, painting its hero John Marston as a man taking up arms to try and right an evil past and save his family from destruction. The result is one of the best stories ever told in a game, with a lengthy collection of memorable one-liners as well as an unforgettable final act. Atop of its storytelling achievements, the gunplay is fantastic, successfully setting itself apart from Grand Theft Auto’s gameplay. The activities you can pursue through The Old West (ranging from capturing bounties and rescuing travelers from cannibals to playing five finger knife fillet with folks) helped create an odd but intriguing world. Vistas encompassing snowy mountains and miles upon miles of deserts make Red Dead one of the best-looking games of the last generation. A fun online multiplayer suite filled with varied modes also made revisiting Red Dead Redemption after completing story an intriguing prospect. Undead Nightmare, a goofy but huge expansion pack featuring an all new alternate campaign filled with zombies, gave players even more reason to return. A beautiful world filled with a memorable, zany cast of characters and a nearly flawless story makes Red Dead Redemption one of Rockstar’s best. For many people at Game Informer, Red Dead Redemption marks the high point of open-world video games thanks to its beauty and blend of brilliant storytelling as well as a gazillion side activities. In the end though, we couldn’t overlook Grand Theft Auto V’s astonishing multi-faceted success. 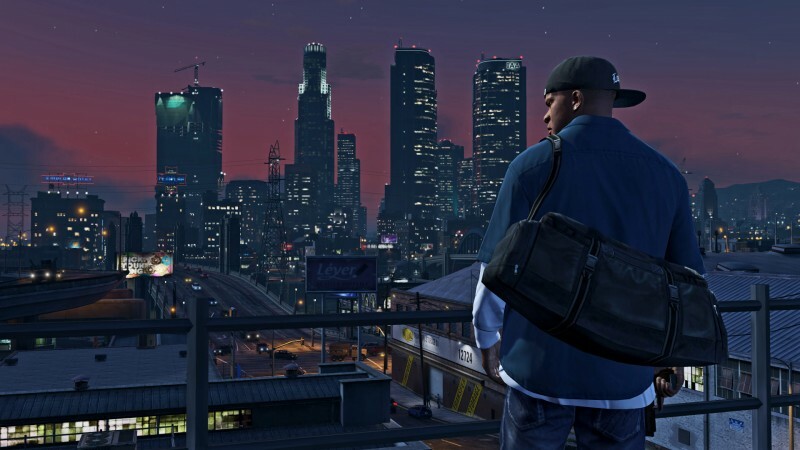 On release, V offered a deep, engaging story mode filled with great missions and sympathetic (if occasionally annoying) characters in gorgeous, glitzy Los Santos. 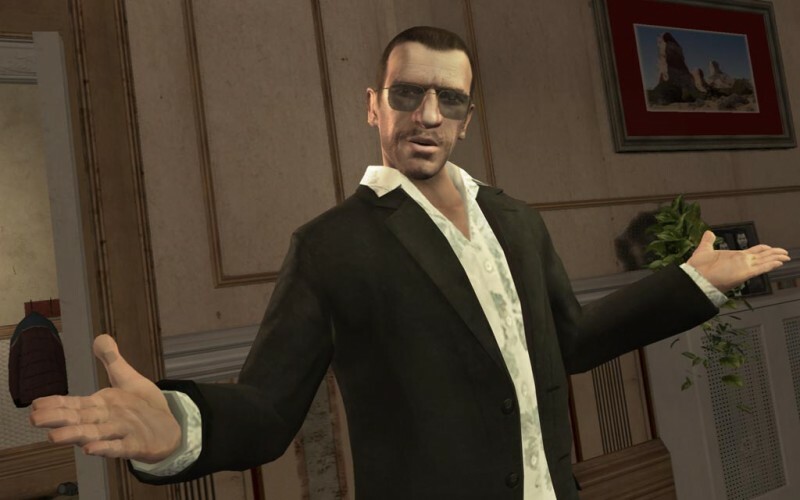 The three protagonists (Trevor, Michael, and Franklin) all have their own stories that are united by a single storyline and each of them has their own character-unique gameplay elements, including clothing that they wear, hideouts they can access, haircuts, and more. The gunplay, driving mechanics, and physics have been retooled since GTA IV to make combat more exhilarating. The heist missions’ customization (letting you choose how you were going to conduct the robberies and letting you pick your accomplices) had engaging consequences for your actions, encouraging you to replay them to see how different choices pan out. At its core, Grand Theft Auto V is a glorious, ambitious interactive television show about robbers and the lives they lead – a mixture of Heat and The Wire. GTA V's version of Los Santos is also one of the most vibrant and beautiful worlds Rockstar has put together, with literal ocean floors that players can explore, huge deserts, mountains for them to leap off of with a parachute, beaches, as well as the thriving metropolis of the city itself and the small town charm of Paleto Bay. The entire world feels alive and rarely wastes any of its acreage, proving to be a place that's worth examining every nook and cranny for random events and memorable treasures. However, GTA V’s trump card actually didn’t come out until a month after release: Grand Theft Auto Online. As the name implies, GTAO, taking inspiration from MMOs and the like, allows players to roam Los Santos untethered, letting them run solo or in groups, to take on everything from liquor store hold ups to multi-million dollar heists in order to accumulate cash that they can use to buy cars, houses, clothes, guns — everything. In the years since then, Rockstar has steadily supported its online world, dropping content pack after content pack filled with free missions and items, and even new systems. Over the years, GTAO has grown thanks to influx of content as well as zany events like insane stunt races and PVP modes, giving players new reasons to return to Los Santos. The ongoing support, as well as the quality of the base game (and re-releases) has resulted in GTA V continuing to appear in the NPD’s Top 10 for years. 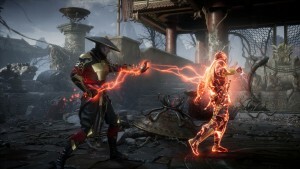 The game's success has spanned two console generations, leading the series to become the most profitable entertainment media of all time. GTA V is a phenomenon, plain and simple. 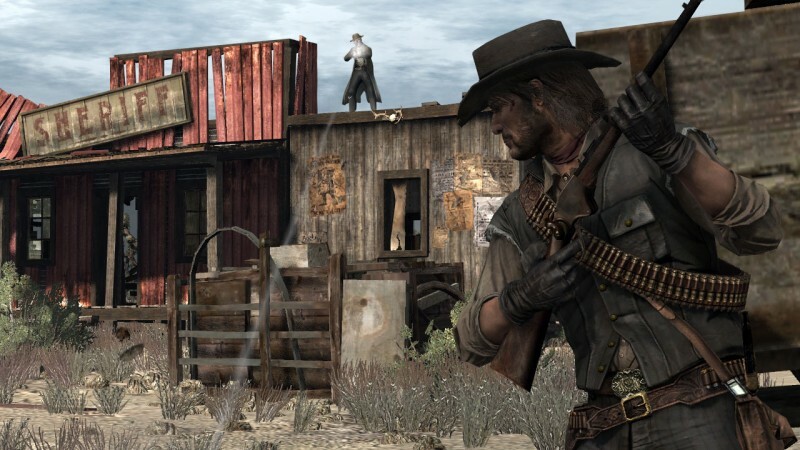 Its story might not stand up quite as well to Red Dead Redemption, but the combination of a robust, impressive single-player campaign with the innovation (and still supported) online component made the game Rockstar’s boldest and most accomplished work....until a new game galloped over the horizon. The sequel to Red Dead Redemption had a lot to prove. The original boasted one of gaming’s most convincing and enthralling open-worlds as well as one of its best storylines. 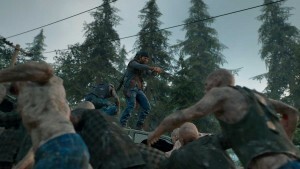 Players were skeptical from the get-go, with Rockstar revealing that the game was a prequel focusing on the days of the Dutch Van Der Linde gang instead of a chronological sequel that number in the title suggested. However, after a long wait, Red Dead Redemption II finally released and wowed players on all fronts. Featuring a ridiculously complex world filled with intractable NPCs that maintain schedules, realistic ecosystems where animals hunt one another, and a bevy of tactical simulations and realistic touches that dwarfs any other AAA game, Rockstar’s latest features its most exciting world. Given that the developer’s pedigree includes Los Santos, Vice City, and Bullsworth Academy, it’s not an easy feat. And yet there’s so much to do (Don’t believe us? Here’s a list of 101 in-game activities) and so much beauty in Red Dead Redemption II’s snowy peaks, dustbowls, small towns, and most of all its camps, where characters party, mourn, and try their best to make it through the Wild West in one piece. No doubt this world is the perfect playground for those already entering Red Dead Online. So far the multiplayer component is a far cry from the behemoth that is GTA Online but riding across the plains with your pals and working with one another to build a small fortune for your own gang is gripping enough that countless players are just find raising a ruckus in the old west until the content drops arrive. This complexity and allure of this world is only matched by the masterful storytelling in Red Dead Redemption II’s campaign. Replacing fan-favorite and immediately likable John Marston with gruff henchman Arthur Morgan was a hell of a gambit but one that paid off as, over the course of a long story, the real man lurking beneath rough exterior emerged and painted a fascinating portrait of the struggle for decency under harsh conditions. Arthur’s relationship with the gang, particularly with entropic leader Dutch, is incredible to watch unfold, whether he’s comparing one of the camp’s layabouts to parasites, offering words of comfort to someone going through a tough time, or even awkwardly seeking his own measure of reassurance among the people he considers his family. With memorable chapters featuring train robberies and fiery mansion shootouts, Arthur’s story also has more than enough exciting set pieces to keep its lofty character-driven narrative from becoming sluggish. While some players might understandably grow frustrated with its admittedly confusing control scheme or certain realism quirks, like having to constantly fetch weapons from your saddlebag, Rockstar’s executions of its mad ambitions cannot be denied. With a tragic and epic tale, an arresting world, and an online component ripe for creating emergent stories, Red Dead Redemption II is an incredible experience top to bottom and marks the developer’s most stunning achievement yet.